Driven by the desire of reducing to zero the time of turning massive raw data into useful information and actions, Streaming is deceptively simple and becomes popular: just process and act on data as it arrives, instantly, and in a continuous and infinite fashion. From Industrial IOT to Connected Cars to Real-Time Fraud Detection and more, people is increasingly looking to build new applications and customer experiences that react quickly to customer interests and actions, learn and adapt to changing behavior patterns, and the like. But the reality is we are using components for something it wasn’t designed to do, and the mechanisms won’t scale from small to large. Complexity arises due to the fundamental systems design mismatches. Streaming is hard at scale because it assumes many disruptive system capabilities, such as ability to treat data as continuous and infinite rather than finite and static, ability to deliver consistently fast results by dynamically scaling serving, storage and computation capacity in coordination with the volume of data arriving. So what do we exactly need a distributed storage for the Streaming world. This talks will explore how distributed storage system evolution was driven by use cases, and what are the requirements for a distributed storage for the streaming world. This talk will also use Apache Pulsar/BookKeeper as an example on discussing how these systems were designed to address those challenges. 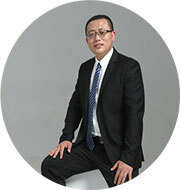 Sijie Guo is one of the co-founders of Streamlio. Streamlio is a startup focusing on building next generation infrastructure for streaming. He is also the VP of Apache BookKeeper, PMC Member of Apache Pulsar. Prior to Streamlio, He was the tech lead of Twitter messaging team.